Call me a nerd, but I’ve started a spreadsheet amongst my friends. (Well, I should point out that it’s one of many shared spreadsheets that we have. We dig anything to do with organization and presentations.) The most recent one? What We Eat (and Don’t Eat). 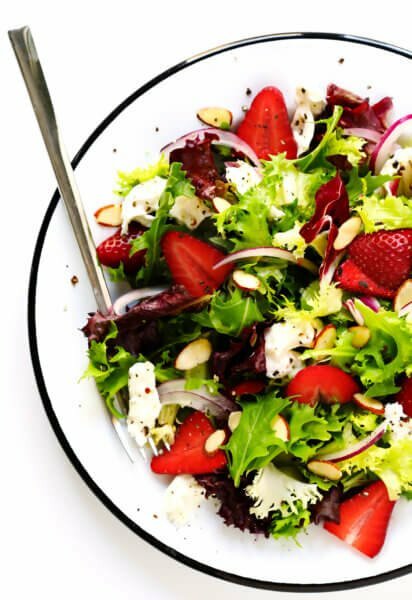 I don’t know about you all, but I feel like I can hardly keep track of everyone’s dietary restrictions, food allergies, and general food preferences as of late. I have friends who are vegan, friends who are vegetarian, friends who are pescetarian, one friend who is a chicken-a-tarian, and many friends who adore a good steak. I have friends who are gluten-free, dairy-free, nut-free, shellfish-free, and a host of other food allergies or intolerances. I have friends who just flat-out don’t like certain foods (most of which I love) like mushrooms or shrimp, and one friend who will not come within 10 feet of a dish with onions. Not to mention all of the foods that are my friends’ favorites! 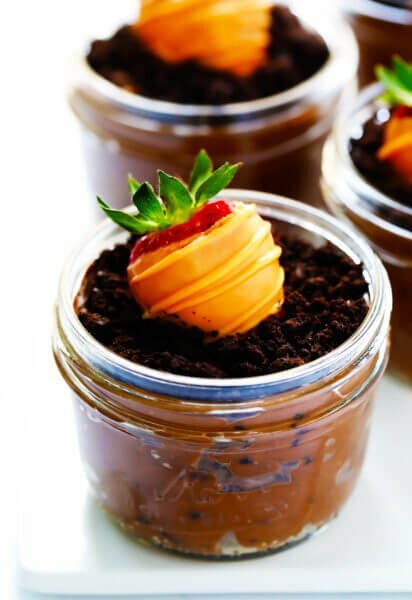 One of my favorite things EVER is being able to whip up someone’s favorite dessert for a birthday, or bring over their favorite soup when they are sick, or the perfect comfort food they crave during a busy work week. 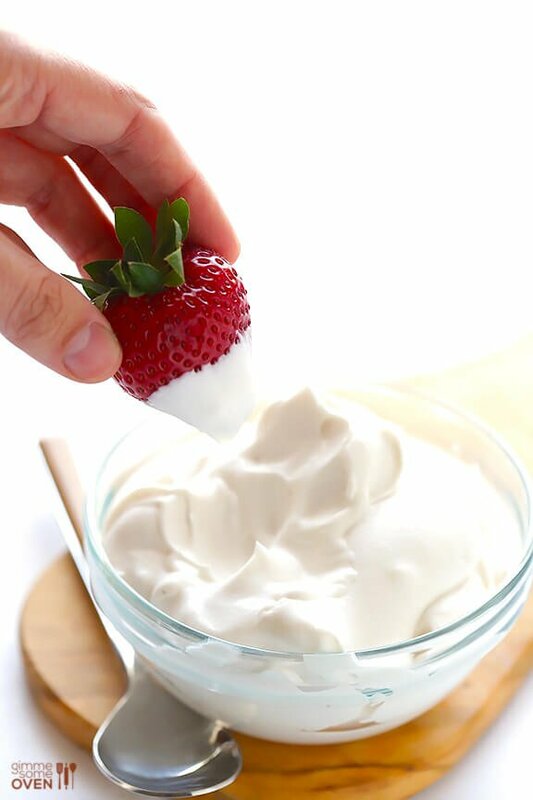 That said, one of the little dairy-free trends that has been oh-so-trendy has also become a staple in my kitchen when making dessert for large gatherings of people — coconut whipped cream. Vegans love it, dairy-free friends love it, and normal-whipped-cream-eating friends also love it. But I realize I’ve never posted about it on here before, so I thought I would add to the myriad of coconut loving posts online right now and share a quick tutorial for those who want to learn how to make it. 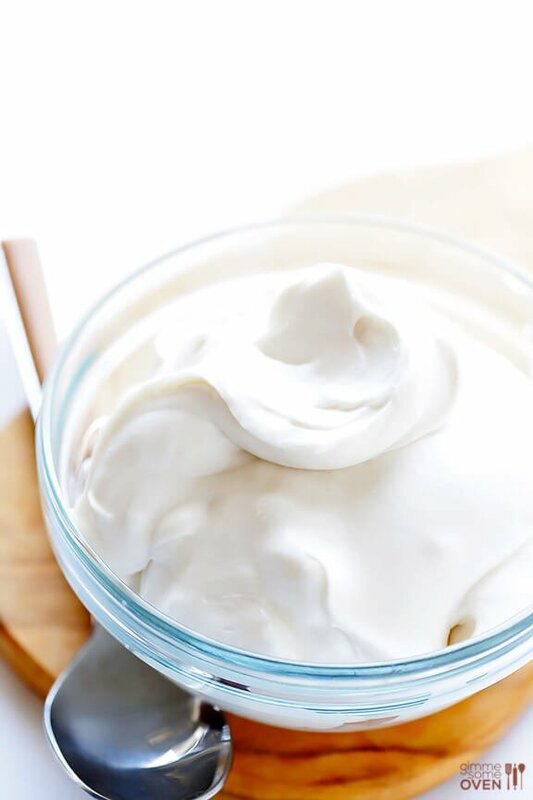 Now I will be the first to admit that coconut whipped cream — or whipped coconut cream, whatever you want to call it — is definitely an alternative to traditional whipped cream. But it does not taste or function exactly like traditional whipped cream. I find that it has a slightly coconut-y taste. And it doesn’t always form stiff peaks quite as well as traditional whipped cream can. BUT, it still tastes sweet and creamy and vanilla-y. And it will definitely fluff up enough to meet most of your traditional whipped cream needs. Full fat: If you buy coconut milk, it must be full-fat for coconut whipped cream to work. And we’re talking cans of coconut milk here, not the large carton of thin coconut milk that’s in the dairy section next to the almond milk. Absolutely do not try any kind of “lite” coconut milk, and avoid brands with guar gum listed as an ingredient. Refrigerate overnight: No shortcuts here (that I’ve found). If you want fluffy coconut whipped cream, you must refrigerate your can of coconut milk for at least 18-24 hours before using it. How To Separate Out The Cream: Once your can has been refrigerated for a day, remove it from the fridge and immediately open the can. The thick/solid coconut cream should have separated to the top, while the coconut water is on the bottom. Use a spoon and scoop out the coconut cream, and then use your coconut water for a different recipe (I usually toss mine in a smoothie). The coconut cream is what you will use to make the whipped cream. Recommended brands: Some brands of coconut milk whip up better than others. What you definitely want is a brand that fully separates the cream from the milk. These include (but are not limited to): Whole Foods, Native Forest, Thai Kitchen (which is sometimes inconsistent), Natural Value. Thankfully, cans of this are becoming more widely available. 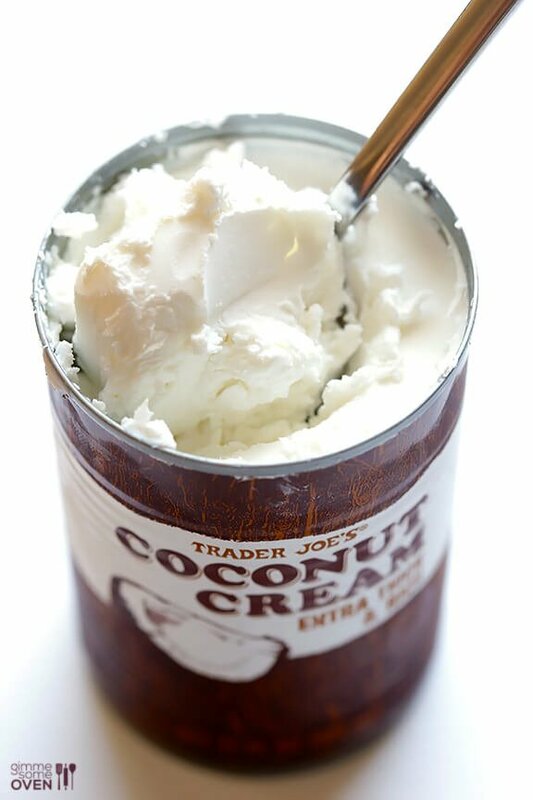 Because a can of coconut cream is basically an entire can of the thick/solid cream already separated out for you. No need to separate out the coconut water. But you do still need to refrigerate the cream overnight for optimal whipping and fluffiness. I like Trader Joe’s and Whole Foods brands. Note, though, that the cans of coconut cream are usually equivalent to the cream from two cans of coconut milk. So in the recipe below, you would need to double the sweetener and vanilla. Unfortunately, in the world of coconut milk and cream, brands have proven to be less than consistent. Different brands can yield totally different results when making coconut whipped cream. Even different cans of the exact same brand sometimes perform differently — some succeeding, while others unexpectedly flopping. I wish that things were more consistent. But some brands have changed recipes over the years, and for a handful of variables, it seems that sometimes cans will just randomly flop. Don’t let this deter you from trying your own coconut whipped cream! But just be advised that if it doesn’t work once, it may not be you — it may be the brand, or something that went wrong with a batch. One other quick tip. Before you begin making your coconut cream, pop your metal or glass mixing bowl in the freezer for 5-10 minutes to chill it. You basically want to keep your coconut cream as cold as possible, and this will help. If you are using a plastic or other kind of bowl, don’t worry, this step isn’t a deal breaker. But it will help. When you’re ready, scoop the coconut cream into your chilled mixing bowl. 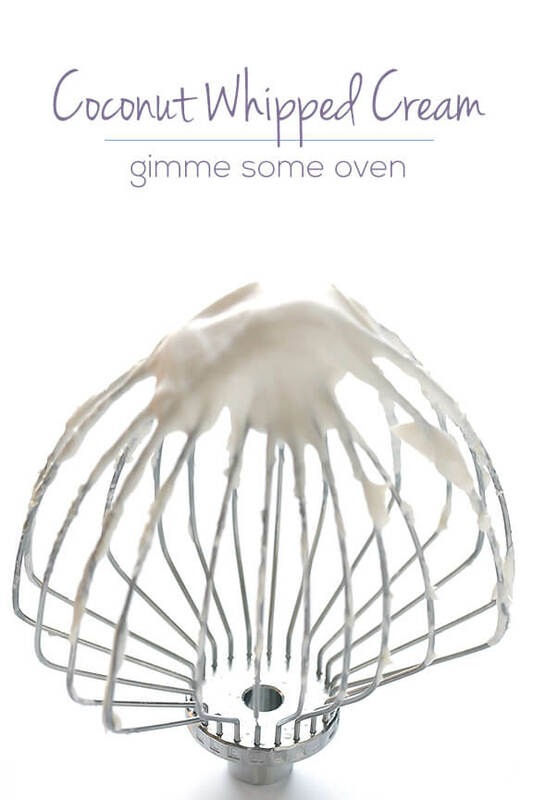 Then use the whisk attachment to whip it on medium speed for about 1-2 minutes, or until the mixture is fluffy. Add in your desired sweetener (I prefer powdered/confectioner’s sugar, but you could also use granulated sugar or even honey). And I also like to add in a little splash of vanilla extract too. If you are serving this to people who are wary of the coconut flavor, the extra vanilla will definitely help. Then whip those ingredients in until blended. Coconut whipped cream is definitely best served right away. But you can also just pop it back in the refrigerator (in a sealed container) if you’re not going to use it immediately, and it will hold well. If it gets too firm in the fridge after a few hours, you can re-whip it until it reaches the desired consistency. And that’s all! 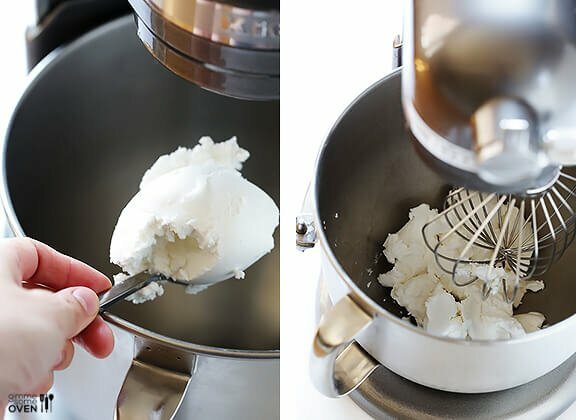 If you have other tips to share on making coconut whipped cream — either techniques or brands that you love/hate — be sure to share. Otherwise, I hope this was helpful. 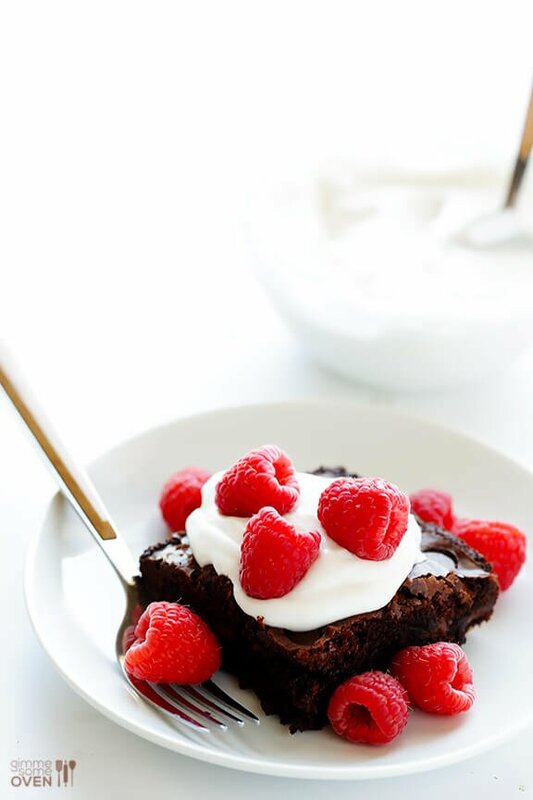 And cheers to making desserts and dishes that all of our friends can enjoy! Learn how to make coconut whipped cream with this simple tutorial. First, place your mixing bowl and beater in the freezer for 5-10 minutes to chill. 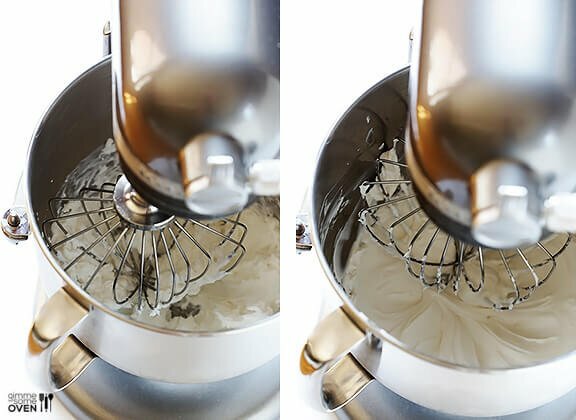 Using a whisk attachment, beat the coconut cream on medium speed for 2-4 minutes, or until the cream becomes light and fluffy and small peaks form. Add in your sugar (or other sweetener) and vanilla extract, and beat until incorporated. Serve the coconut whipped cream immediately, or transfer to a sealed container and refrigerate until ready to use. If the whipped cream becomes too firm in the refrigerator, you can re-whip it to reach the desired consistency. 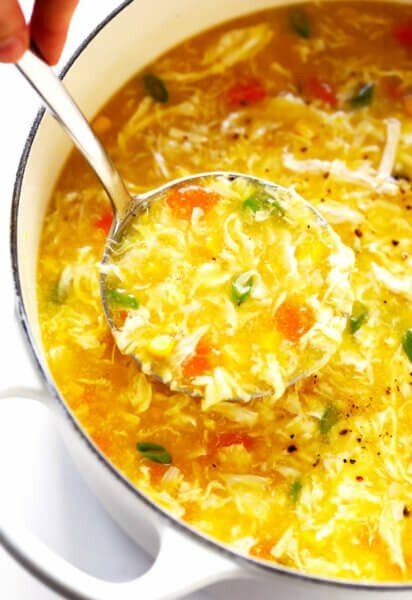 *The level of sweetness in this recipe is totally up to you, and different brands of coconut milk have varying levels of sweetness, so I recommend adding sweetener to taste. I prefer to use powdered sugar, but you can also use granulated sugar, honey, agave or other sweeteners. The texture of different sweeteners may affect the consistency of the coconut whipped cream. Different brands of coconut milk perform differently in this recipe. And even different cans of the SAME brand of coconut milk have been known to perform differently. I wish things were more reliable, but brands have changed their recipes over the years, and batches are not always consistent. So just keep in mind that worked once may not always work again. OMG! I just made this and am literally crying it is so good! 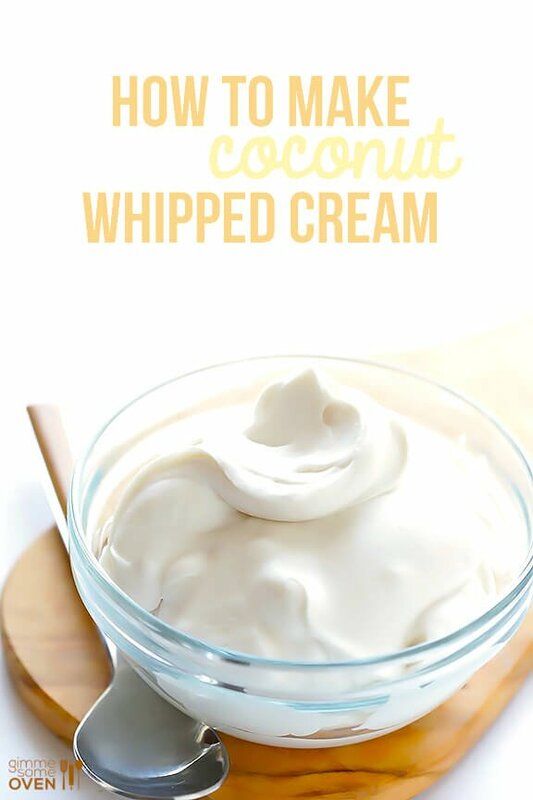 I have been looking for a solid coconut whipped cream recipe for a while and this one definitely takes the cake! Thank you so much for creating this and posting it, my tastebuds are eternally grateful. PS. I love spreadsheets, thats such a good idea for friends dietary restrictions! I have made this several times already and love it! Doubled the recipe and made a whipped cream topping that went very well with my favorite key lime pie recipe. Also for fun, I mixed the coconut cream with a packet of Land O’ Lakes mint chocolate hot chocolate mix, I may have added a tad more sweetener to taste, but it was divine, it tasted like a Thin Mint Cookie and was excellent on top of the chocolate coconut ice cream that I buy at Trader Joe’s. Dying to make this, but we can’t get cans of coconut cream in Indonesia – only UHT cartons where there cream doesn’t solidify in the fridge. Can this still be made? Hi Melissa! Hmmm, we don’t think that would work, but you could try it? I used this a base for a pseudo Dole Whip. Oh man, so good! Next time I’ll buy a can of cream instead of milk so that I can yield more. Thanks for sharing, Mary — we’re so glad you enjoy it!